When it comes to printing at home or in the office, it's difficult to beat the IBM 6400. It won't be long before your IBM 6400 will polish off its printer ink, and when that happens you'll quickly work out that fresh IBM 6400 ink is generally really pricey. Thankfully, however, you don't have to be anxious about paying the steep costs you'll discover on the high street because now at Cartridge Save you can purchase all the IBM 6400 cartridges you'll need at low cost. Save a lot of money on your ink by shopping online at Cartridge Save! Why pay high prices for the 6400 original cartridge or 6400 compatible ink down the high street when you could save a wadge of cash buying with Cartridge Save. Have utter confidence when you order Dot Matrix 6400 ink cartridges from us seeing as every one is underwritten by a cast iron 30 day money back guarantee. Keep in mind that every single order also comes with free delivery, typically arriving at your door on the following working day! The IBM 6400 is a line of high performance line matrix printers offering speeds of up to 500 to 2000 lines per minute, depending on the model. It is a reliable printing solution for typical offices with basic demands. It is good for high-volume printing applications, making it a good choice for small to large work environments. The IBM 6400 impact printer is also very cost-effective, but not as compact, as it may require a large dedicated space for smooth operation. However, the 6400 line matrix printer only offers a single function, which can be limiting for those looking for a versatile all-in-one. 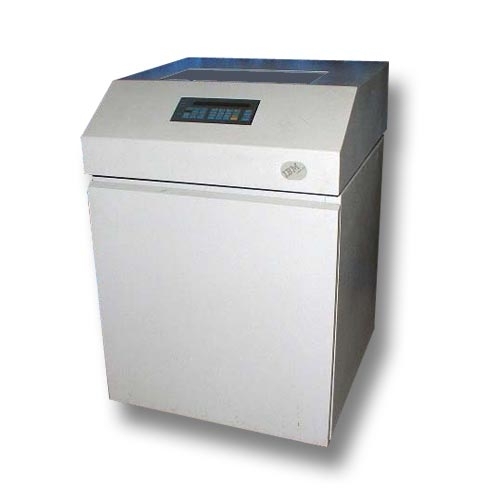 The IBM 6400 series printer comes in either an enclosed cabinet or open pedestal configuration. An open pedestal unit reduces the need for a large floor space, which means a more spacious printing room. While an enclosed cabinet takes up more space, it offers quieter operation, as it provides hushed acoustics. The IBM 6400 line matrix printer also offers DP quality printing up to 1800 lpm. In addition to its flexible design, the IBM 6400 dot-matrix printer also employs versatile paper handling, with a well designed paper path that makes it easier to load and align documents for faster processing. Its print options include fast draft, DP, and NLQ modes, and it offers versatile connectivity, including a standard parallel port and an Ethernet base. Black IBM 6400 ink ribbons can print at least 20 million characters which means good longevity and great value for money. The IBM 6400 printer only offers single function line matrix printing that is slow and produces a low resolution in comparison to inkjets and lasers, which are more common in today's market.